The history of the Hellenistic civilization was marked by economic developments second only in magnitude to the Commercial and Industrial Revolutions of the modern era. Several important causes can be distinguished: (1) the opening up of a vast area of trade from the Indus River to the Nile as a result of the Alexandrian conquests; (2) the rise in prices as a consequence of the release of the enormous Persian hoard of gold and silver into the channels of circulation, resulting in an increase in investment and speculation; and (3) the promotion of trade and industry by governments as a means of augmenting the revenues of the state. The net result of these factors was the growth of a system of large-scale production, trade, and finance, with the state as the principal capitalist and entrepreneur. Agriculture was as profoundly affected by the new developments as any other branch of the economic life. The most striking phenomena were the concentration of holdings of land and the degradation of the agricultural population. 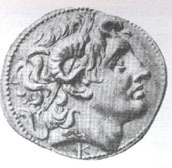 One of the first things which the successors of Alexander did was to confiscate the estates of the chief landowners and add them to the royal domain. The lands thus acquired were either granted to the favorites of the king or leased to tenants under an arrangement calculated to ensure an abundant income for the crown. The tenants were generally forbidden to leave the lands they cultivated until after the harvest and were not allowed to dispose of their grain until after the king had had a chance to sell the share which he received as rent at the highest price the market would bring. When some of the tenants went on strike or attempted to run away, they were all bound to the soil as hereditary serfs. Many of the small independent farmers also became serfs when they got into debt as a result of inability to compete with large-scale production. In an effort to make all of the resources of the state contribute to the profit of the government, the rulers of Egypt and the Seleucid empire promoted and regulated industry and trade. The Ptolemies established factories and shops in nearly every village and town to be owned and operated by the government for its own financial benefit. In addition, they assumed control over all of the enterprises that were privately owned, fixing the prices the owners could charge and manipulating markets for the advantage of the crown. A similar plan of regimentation for industry, although not on quite so ambitious a scale, was enforced by the Seleucid rulers of western Asia. Trade was left by both of these governments very largely in private hands, but it was heavily taxed and regulated in such a way as to make sure that an ample share of the profits would go to the king. Every facility was provided by the government for the encouragement of new trading ventures. Harbors were improved, warships were sent out to police the seas, and roads and canals were built. Moreover, the Ptolemies employed famous geographers to discover new routes to distant lands and thereby gain access to valuable markets. As a result of such methods Egypt developed a flourishing commerce in the widest variety of products. Into the port of Alexandria came spices from Arabia, copper from Cyprus, gold from Abyssinia and India, tin from Britain, elephants and ivory from Nubia, silver from the northern Aegean and Spain, fine carpets from Asia Minor, and even silk from China. Profits for the government and even for some of the merchants were often as high as 20 or 30 per cent. Further evidence of the significant economic development of the Hellenistic Age is to be found in the growth of finance. An international money economy, based upon gold and silver coins, now became general throughout the Near East. Banks, usually owned by the government, developed as the chief institutions of credit for business ventures of every description. Because of the abundance of capital, interest rates gradually declined from 12 per cent in the third century to 7 per cent in the second. Speculation, cornering of markets, intense competition, the growth of large business houses, and the development of insurance and advertising were other significant phenomena of this remarkable age. According to the available evidence, the Hellenistic Age, during the first two centuries at least, was a period of prosperity. Although serious crises frequently followed the collapse of speculative booms, they appear to have been of short duration. But the prosperity that existed seems to have been limited chiefly to the rulers, the upper classes, and the merchants. It certainly did not extend to the peasants or even to the workers in the towns. The daily wages of both skilled and unskilled workers in Athens in the third century had dropped to less than half of what they had been in the Age of Pericles. The cost of living, on the other hand, had risen considerably. To make matters worse, unemployment in the large cities was so serious a problem that the government had to provide free grain for many of the inhabitants. Slavery declined in the Hellenistic world, partly because of the influence of the Stoic philosophy, but mainly for the reason that wages were now so low that it was cheaper to hire a free laborer than to purchase and maintain a slave. An interesting result of social and economic conditions in the Hellenistic Age was the growth of metropolitan cities. Despite the fact that a majority of the people still dwelt in the country, there was an increasing tendency for men to become dissatisfied with the dullness of rural living and to flock into the cities, where life if not easier was at least more exciting. But the chief reasons are to be found in the expansion of industry and commerce, in the enlargement of governmental functions, and in the desire of former independent farmers to escape the hardships of serfdom. Cities multiplied and grew in the Hellenistic empires almost as rapidly as in nineteenth-century America. Some of them attained metropolitan size virtually overnight. Antioch in Syria quadrupled its population during a single century. Seleucia on the Tigris grew from nothing to a metropolis of several hundred thousand in less than two centuries. The largest and most famous of all the Hellenistic cities was Alexandria in Egypt with over 500,000 inhabitants and possibly as many as 1,000,000. No other city in ancient times, not even Rome, surpassed it in size or in magnificence. Its streets were well paved and laid out in regular order. It had splendid public buildings and parks, a museum, and a library of 750,000 volumes. It was the most brilliant center of Hellenistic cultural achievement, especially in the field of scientific research. The masses of its people, however, were a helpless mob without any share in the brilliant and luxurious life around them, although it was paid for in part out of the fruits of their labor.